On Wednesday at 3 PM you might be on your way to visit relatives for Thanksgiving, but I'll be in WRIR's studios bringing you two hours of music that will make sitting in traffic a little bit more tolerable. 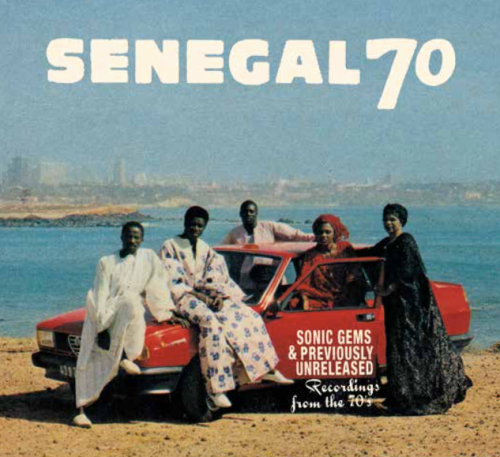 This week you'll hear a track from Analog Africa and Teranga Beat's fabulous new Senegal 70 compilation, a song recorded in 1976 and unreleased until this Friday. Also on the new music tip there's singer-songwriter M'Toro Chamou from Ile De Mayotte; French soul-reggae band Soul Sugar; Jamaican dancehall toaster Protoje; and XIXA, a chicha band from Tucson -- all artists being played for the first time ever on Global A Go-Go. Oh, and a new record from an artist that I've played more than a few times -- Bio Ritmo's brand new single, which goes on sale December 1.